NEPAL. Nepalgunj. 2005. 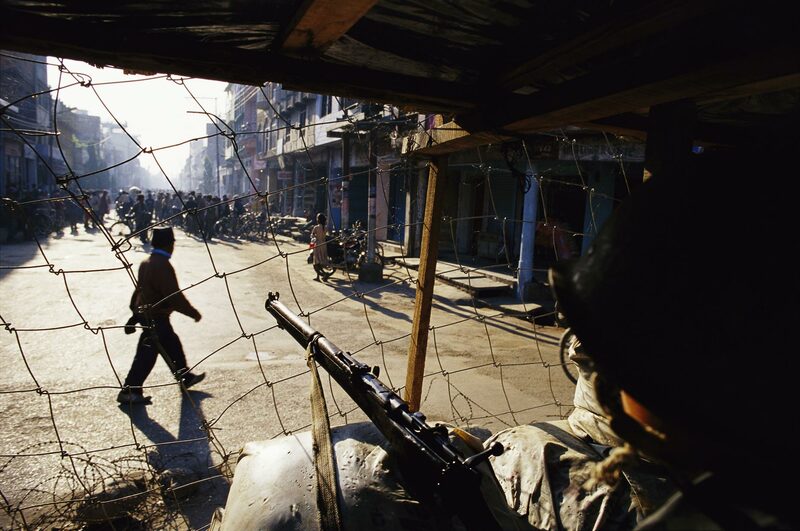 The government-controlled towns outside of Katmandu have an 'under-siege' feel to them. In Nepalgunj, the biggest city in Western Nepal, a pillbox with armed police stand in the middle of every major intersection, it's officers at attention.